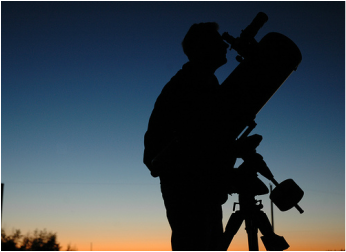 With our professional-class automation, scheduling, and web / mobile / local access, you'll get the most out of your observatory whether you do science or art. You tell it what images you want, and the scheduler determines when, while the automation handles how. ACP Expert automates your entire observatory 24/7 hands-off while providing you mobile and web access to monitor operations, submit new image acquisition requests, and deliver images via the cloud as they are acquired automatically night after night. We focus on image acquisition and observatory operations. We also have partnerships with companies that integrate their software with ours. 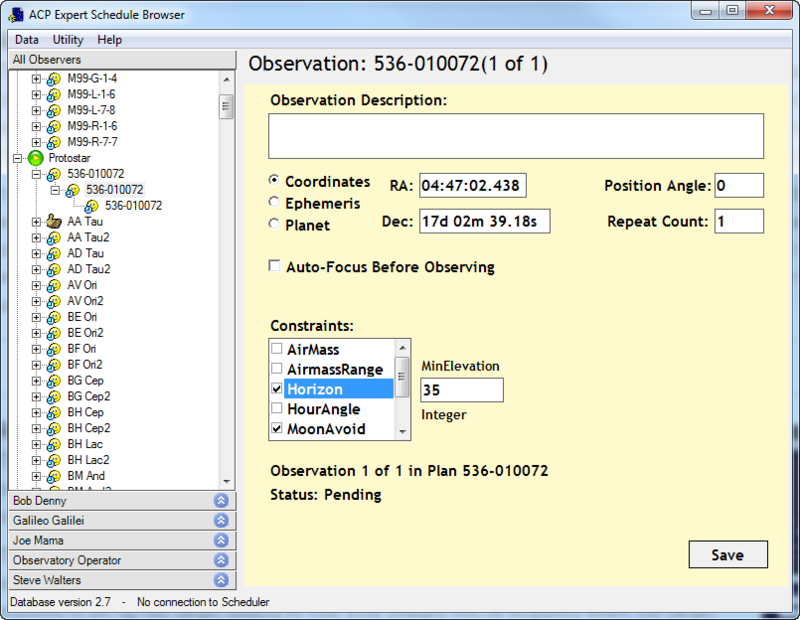 For example, CCD Navigator integrates with ACP Expert, even if the observatory is remote. 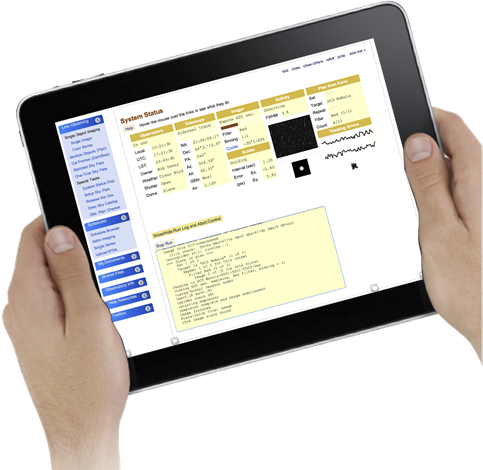 Also, TheSky HD by Software Bisque includes touch-and-capture target selection and seamless integration with ACP's mobile form input for entering observations of the selected target (see the video). Ask any of our customers -- we provide first-class support including live sessions with the developer. We provide a fast-response forum, the Communication Center, and if needed the developer will log in via our remote assistance tool to provide live help and diagnosis. We value our customers' satisfaction ahead of everything else! A commonly held belief is that a single program is more reliable than a collection of programs that interact via the operating system. Modern computing architectures are all based on modular design. This is best-practice for managing complexity, adaptability, and reliability. Each module/block has its own responsibilities, and the glue is the modern multi-tasking operating system with inter-process communication. ACP is a modular system and its long history of reliability and adaptability is due in large part to that design. If you want the latest news and customer feedback on our software and support, look at our social media feeds using the buttons on the right. There are five of these. Click the name right below to see the info for that product. This is the complete system, consisting of the scheduler, the automation engine, the web server, and supplied web content (click User Interface above). ACP Expert manages your observatory 24/7 hands off. Give it work on multiple targets and colors for months ahead, specifying the conditions under which you want the images to be acquired. When the conditions are right, your images will be acquired. You don't have to wrestle with timing of targets. The capabilities of the scheduler cover both science and art astronomy. 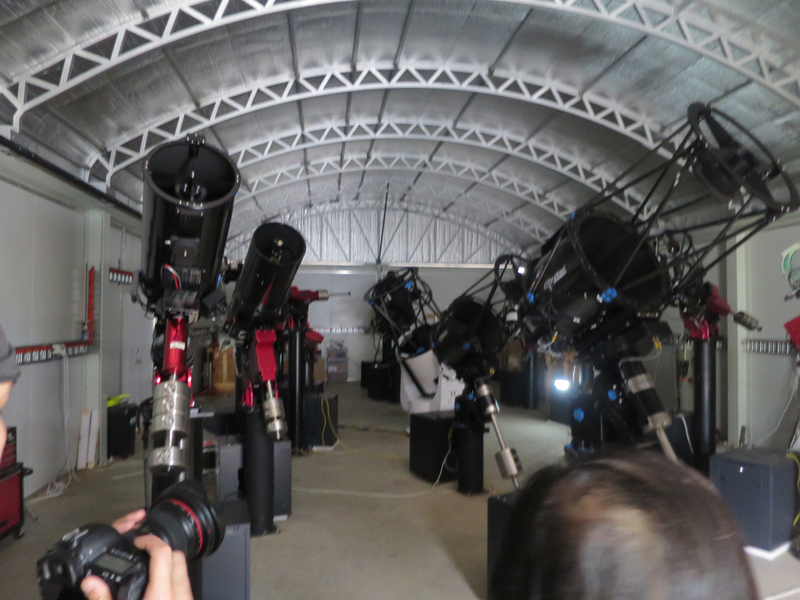 Both communities can benefit from increased observatory productivity and reduction of astronomer workload! It may be difficult to imagine, or even believe, that such a capability exists. How can it know which targets to acquire when? What does it do when there is a weather unsafe event? Does it recover and continue acquiring images when the weather becomes safe? Does it really handle all aspects of the observatory night after night without babysitting? If you want to discuss ACP Expert and have your questions answered, please feel free to call us for a personal chat at +1 480 396 9700 business hours (MST, UTC-7) Monday through Friday. For more detail, go to the legacy ACP Expert Scheduler web site, or just download a 60 day trial version of the scheduler. You will need MaxIm DL and the trial version of the ACP Observatory Control Software as well. This is the automation engine, web server, and supplied web content (see User Interface) but no scheduler. It can be purchased separately for those who don't need the full scheduling capabilities of Expert. The automation engine in ACP provides live / timed observing similar to other automation packages out there. With all unscheduled automation packages, you are required to set up the target timing so that your images will be acquired when the target is visible, or better yet, when it is high in the sky. ACP can of course handle multiple targets, so you can have it work on a series of several targets in a night, working while each is in its best position. We supply a free planning tool ACP Planner to assist in setting up multi-target runs, but for the ultimate in ease of use consider ACP Expert's scheduler. No planning at all! All aspects of observatory automation are 100% covered. This obviously involves many functions, and we have pioneered most of them. For example, solve and correct pointing was baked into ACP in its first release 14 years ago (we developed PinPoint for this purpose initially). When we say hands-off we really mean it. For much more detail, go to our legacy ACP web site, or just download a 60 day trial version. You will need MaxIm DL as well. Mobile / Web User Interface - It Doesn't Get Any Simpler! 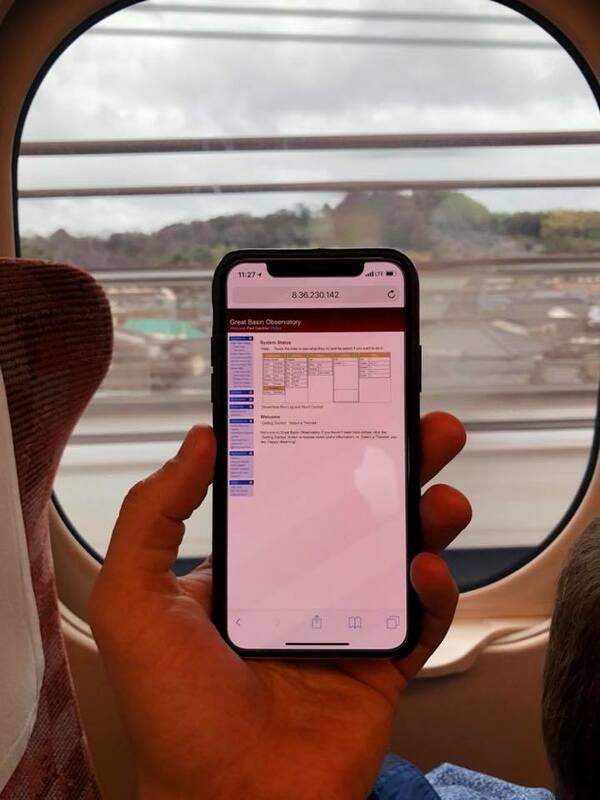 Unique to both ACP Expert and ACP Observatory Control is the built-in "zero-admin" mobile / web observing feature. We have focused our design on this set of observing controls and forms for the last ten years. Whether you are out in your observatory, or it is 1,000 miles away, one set of controls is all you need to learn. 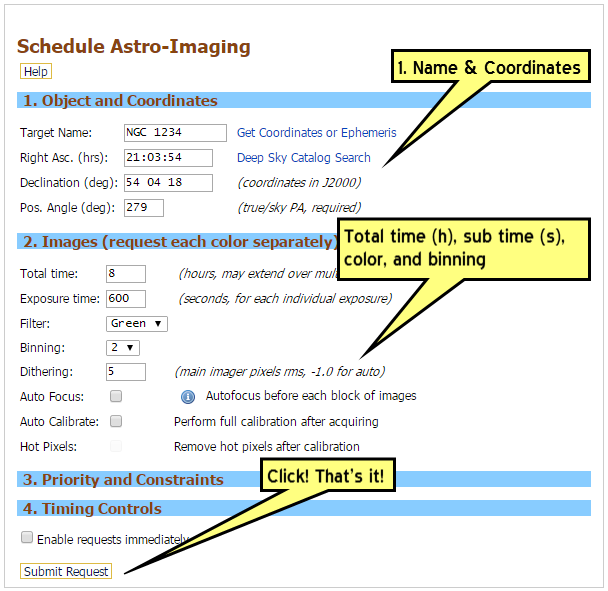 Astronomers see simple forms for requesting a single image live, or a series of images in multiple bands for a single target, live or queued, or an uploading facility for more complex observing plans for live or queued acquisition. A live "dashboard" shows what is happening at all times. Virtually everything is presented in a compact clean way. Most forms have a magic Help button that slides out helpful and reference info. This unique way of interacting with the observatory also protects your observatory against tampering or "adjustments" by students or well-meaning friends. You don't need to provide direct access to your observatory computer. No remote desktop. The web interface includes a sophisticated web-based editing system with detailed documentation within the tool set. 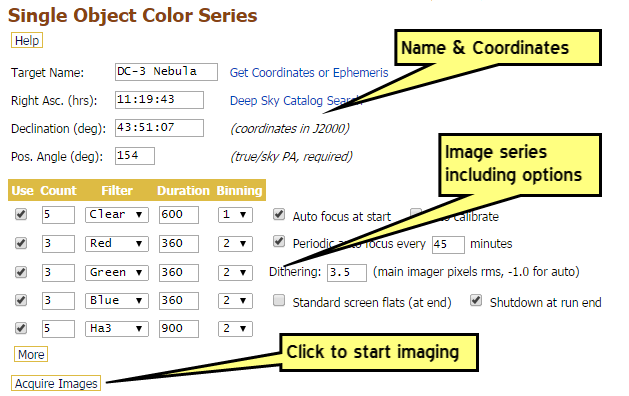 You can customize your observatory's web interface using this and the results are automatically web and mobile compatible! Just be aware that most of the web content is automatically adjusted for your observatory's equipment (filter lists, etc). For more info see our videos covering the mobile/web user interface. PinPoint is available separately for use within other automation packages and scientific tools. If you have one of these other tools and wish to purchase a license for PinPoint, you can do so at our software store. If you want more details, visit the legacy PinPoint web site, or download a 60 day trial copy. When you purchase a license for one of our products, you get a year of free upgrades and our first class technical support. At the end of that year, you can optionally renew your support and upgrades. Your software never stops working. Software is a service business, not a product business. Support issues are handled on the DC-3 Dreams Communication Center, a forum system with both public areas as well as a premium section for current support subscribers. At our end, support issues are all handled by the developer Bob Denny, but of course other users can help as well (and they do!). The forum system preserves discussions permanently for future reference and thus allows people to search for answers without waiting for a response from the developer. Issues which result in new features, changes, or bug fixes are filed on our Gemini Issue Tracking System where they are publicly visible including progress of work, hours spent on the issue, and completion status. Usually Gemini tickets contain a back link to the forum discussion that led to the change request. This level of transparency is extremely rare in the software business. After your first year of support and upgrades, we offer a 30% discount on support and upgrades for those who renew within 30 days of the expiration of their current term. Our support and upgrades pricing conforms to industry standards for this service, yet with our company you get first person support from one of the principals of the company who obviously has a strong interest in our success, who is the developer of the software, and who is a lifetime engineer with an expert level of problem solving. There are six of these. You can drag them left and right or use the navigation arrows, and click the images to see them full size.. This is the mobile/web "dashboard" which lets you monitor the observatory. If you are an administrator you can also control some aspects of it. Scheduled input form for requesting by total time and sub-exposure time for each filter. Imaging is done in 30 minute blocks. Live input form for getting images of a single target in multiple filters using the ACP automation engine. Imaging starts when you click/touch the button. Console for the ACP observatory control program and web server. 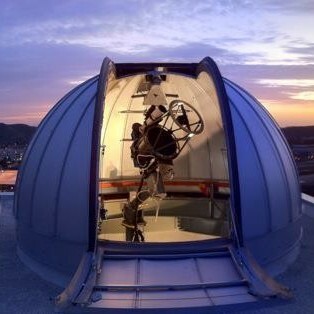 This runs at the observatory, and is not normally used by astronomers. Console for the Scheduler, which generates work for the ACP observing engine. This is not used by astronomers, it runs hands-off. 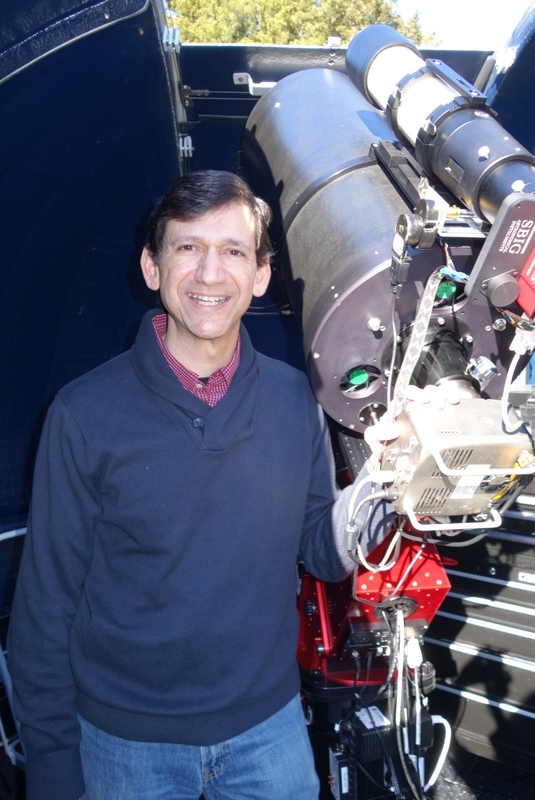 Video showing a simple single-image acquisition on a system with an imager rotator. 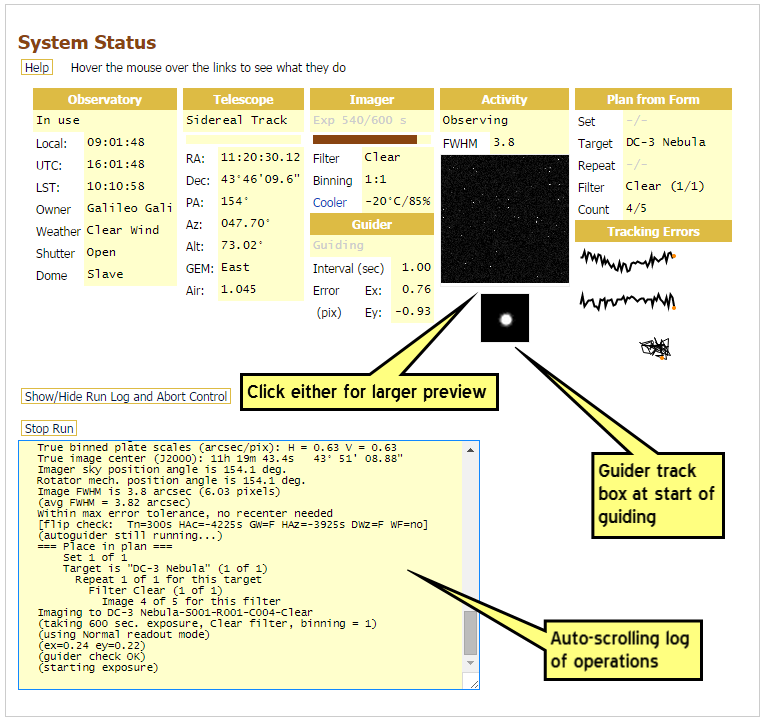 This will give you the flavor for our web-based astronomer's interface. Please see our other videos for more info. ACP Expert is working since several months without problems (no restart, no bug). You really did a wonderful job that impresses all my colleagues in professional observatories (and it is not so easy, believe me!). ...cruising at 30,000 feet on the way to the East Coast controlling my observatory. I love technology. The ACP Expert web interface works great on in-flight WiFi. I am completely enamoured with ACP and the Scheduler, and have a huge amount of respect for your skill as a coder. I'm amazed at the flexibility and extensibility of ACP, and it is by far one of the most flexible applications I've interacted with, and not just for astronomy. I've been a Systems Engineer for close to 35 years, and I've worked with dozens if not hundreds of applications over the years, this by far is the most comprehensive, well documented and flexible apps I've worked with. ACP Expert is the best observatory automation software on the market. I've been using ACP for 8+ years with 56,000+ imaging hours across 20+ remote telescopes. Bob's support is great. 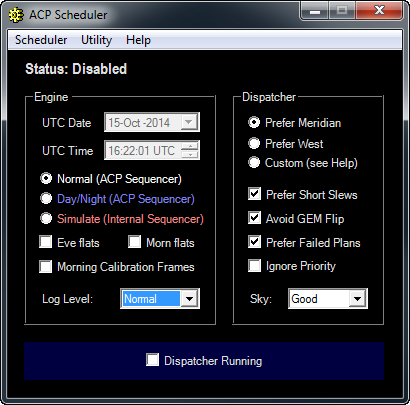 ACP and Scheduler is simple to setup and use. Last Sunday night, I went to bed with it raining, got up in the AM, it was raining, and found that for three hours during the night the rain and clouds had cleared... oh and yeah the observatory had grabbed a bunch of super pictures during that time...get the idea??? Having ACP Expert working for you is incredible. You set the targets and decide on what, how much, and sit back and spend your energy on processing the data. ACP honestly helped me quit smoking! I'm a big fan of ACP Expert, especially the scheduler. I literally load hundreds of projects in advance, and the scheduler has an intelligent dispatcher that does start up, shutdown, and literally operates the observatory for months without human intervention. ​In Japan on a bullet train checking in on The Great Basin Observatory starting up for the night on the other side of the world. Are you convinced? Download a 60 day trial of ACP Expert (ACP Observatory Control and ACP Scheduler). Note that you must have MaxIm DL which is available on a 30 day evaluation basis. Or if you need more information please have a look at our many live usage videos. All ACP products require Diffraction Limited's MaxIm DL for camera interfacing and guiding. Either CCDWare's FocusMax or PlaneWave's PWI3 are used for auto-focusing. The ASCOM Platform is required, as usual, for device interfacing. Remember, modular design is better!